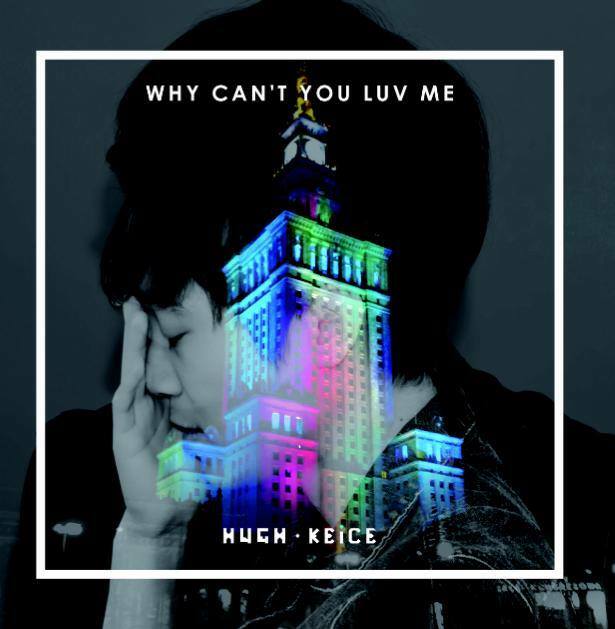 Hugh Keice, born in Seoul, is a singer- songwriter who frequently travels to the UK and Europe to perform his incredibly interesting music. He earned an MA in Creative & Cultural Entrepreneurship at Goldsmiths, University of London in 2010. In the same year he released his debut mini- album entitled When Summer Holds The Rain, which contained 5 songs and was independently produced by Hugh’s eponymous record label. His childhood was filled with Schubert and Bach’s music as well as art. Although he was into drawing from his early years somehow he found his way towards music, even after a few unexpected ups and downs, he firmly pushed forward and has become a professional indie artist. His clean voice and unique sound, which blends funk, blues and soul with a hint of folk, drew me into his musical world immediately. His music combines a bit of John Mayer, D’Angelo, Incubus and is mixed with his own sound. It is hard to place Hugh’s music into one particular genre. He once said “I don’t want to pigeon-hole my music into any genre”. In my opinion it’s important to give yourself freedom when it comes to the creative process of making music and that’s what Hugh does. He experiments with various sounds to create a one of a kind melody. 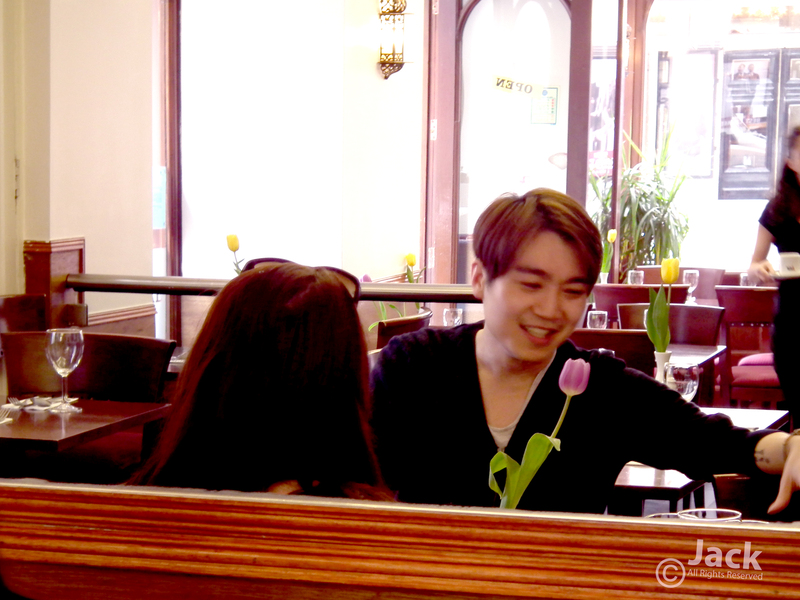 In a cafe in the backstreets of London, we caught up with the charming Hugh to hear his story, while he was here in London to perform an acoustic set and to participate on the panel of the Think in Music – Artist Talk at the London Korean Cultural Centre. We asked Hugh how it all began. Hugh: When I was 13 years of age I attended art class. I did a lot of drawing and I was very interested in being creative. At that time I listened to a lot of classical music, however, and one day a friend of mine introduced me to a different kind of music which was heavier than I expected. So I started to listen to bands such as Deftones and Rammstein and after a while I got myself my first guitar. After graduation we formed a nu-metal band that drew from Korn and Linkin Park. It was a lot of fun, but all of us went our separate ways and I went forward with my solo music career. That’s how it all started really. VOTA: So how hard do you push yourself when it comes to music? Hugh: I was meant to be a musician. I believed in playing music. I used to play in Hongdae nonstop, then I started to write my own songs and music. Sometimes I even wondered if people would like it or not, but I guess they did. Even when I went through a tough time or was in a bad place I still pushed myself forward. It is important not to stop. VOTA: How long does it take you to write a song? Hugh: Sometimes I write instantly on the spot and sometimes it takes months, it all depends. The songs “Flowers, Life and Everything Else” and “Dancing in The Rain” were actually written on the spot.The best ones were written on the spot. VOTA: In what ways does the place where you live, or places you have lived, affect the music you create or your taste in music? Hugh: It comes naturally because you are exposed to different cultures, and different vibes. It affects you in various ways, your attitudes, and the way you think. So I guess the places I’ve been to affected my music somehow too. VOTA: K-Pop, K-Pop everyone talks about K-Pop whenever I meet Koreans. Do you feel pressured by the huge wave of K-Pop and what’s the music scene in Seoul like when it comes to indie musicians? Hugh: K-Pop was a huge opstical. Apart from Ballad singers and idol bands, there was absolutely no place for rest of the contemporary music in South Korea. However, nowadays, you can tell that it’s more balanced than the old days.The indie scene survived despite its difficult condition and, now, there are people who actually care about indie music. I used to think I could do K-Pop too but in the end I thought to myself “I like to have creative control over my music”. So I stick to indie music. VOTA: What guests artists have you played with that were really memorable? Hugh: I would like to mention Peterpan Complex. I used to be in a crowd when I was a teenager. Years have passed and I got a chance to tour with the guys which was great. They are funny and professional. They inspired me in some ways. Listening to Hugh’s story about the K-Pop wave, his struggles as a musician and how much he had to, and still has to invest to carry on as a musician is truly inspiring. When you think of other indie artists, who went through difficult times and never really recovered from it, Hugh is living proof that you can overcome many problems. Of course he lost his confidence once or perhaps twice when he had to battle with untrustworthy people, when he lost the money and when he faced ‘no way out’ situations, nevertheless, he never looked back he just used past experiences and progressed as an artist. We talked a lot about his inspirations too. He said that he gets his ideas from “Every bit of my life. I don’t want to sound like a Hipster, but it’s true. Simple things can inspire easily. The moodiness when I walk down the streets or sometimes having a pint with friends.” This is the part I didn’t expect to hear, but I am glad I did. “I remember when I had a hard time, when I had to do various jobs with detestation to write, I had no time to make music. I had to take my mind off things somehow, so I watched Secret Garden and started playing music. Just like that. So I guess the show inspired me to write music too.” To those who don’t know what Secret Garden is, it’s a Korean TV show which tells a story of a rich man and a stunt woman. We are guilty of watching it too. We were very engaged in listening about the creative process of making music and his latest EP Whale Song Omnibus, which was released last year and mastered in the UK. When we asked about the unusual title for the EP’s Hugh said that the name for the album came up when he was on his way to a meeting with a designer. He had to think of something and came up with Whale Song Omnibus. He thought of the songs he had written, some of which had been drawn up three years previously. It took a long time, so he felt that the name of the album summed it all up. Hugh talked about how interesting and strange the creative process is, especially when you try to write and sing in another language. When comparing his first EP When Summer Holds The Rain with the latest one he bravely admitted that when he sat down and listen to it he felt like he improved sound wise and language wise. He was also very excited when he talked about his upcoming EP Why Can’t You Luv Me. We can’t wait to get it in our hands on May 22nd! Don’t forget to get your copy! We chatted for a while but, unfortunately, it was time for us to end the interview. It was such a great pleasure talking to Hugh. We hope to see him soon in the UK again.